Following the impact of the Hyggs beam, the remaining pilots regroup and attempt to break into the enemy placenta. With her Guardian in bad condition, Ren Honoka entrusts Nagate with her last bullet and asks him to use it to defeat Benisuzume for her sake. Nagate then stays behind to confront it, while Samari and the others break inside the Gauna to destroy its main core. 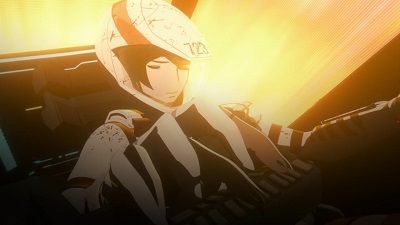 Nagate's battle with Benisuzume is fierce, and he is knocked down just to be rescued in the nick of time by Izana who is injured by the Gauna in sequence. After resuming the battle, Nagate runs out of ammo and in a last effort, fires Tsugumori's left hand carrying the bullet he gained from Ren to destroy it. Meanwhile, Samari's platoon manages to destroy the Gauna's main core, opening the way for the anti-planetary missile to obliterate the target. 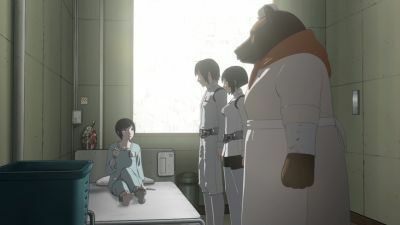 Back to Sidonia, Nagate pays a visit to Kunato upon learning that he intends to quit being a pilot and despite not forgiving him for what happened, expresses his desire to have him by his side to defend their home and Kunato leaves him without giving an answer. After Ren thanks Nagate for attending to her request, he leaves to visit the Shizuka/Gauna hybrid again, unaware that she was moved somewhere else. 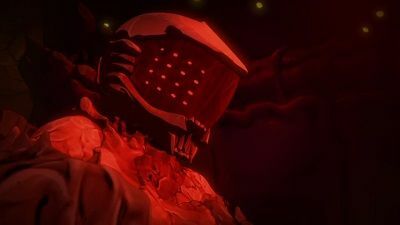 After killing the members of the Akai squad, the gauna proceeds en route of collision with Sidonia and Captain Kobayashi orders an emergency evasive maneuver that causes massive casualties at the ship's residential area, despite the citizens' efforts to brace themselves, but succeeds. As the gauna makes a turn back to target the ship again, Kobayashi orders dozens of guardians to defend it, and sends Kunato, Shizuka and Nagate to salvage one of the weapons used by the KIA squad to fight the gauna, the Kabizashi. However, just as Nagate's team retrieves the artifact, the gauna turns their attention to them and fires a blast that incapacitates all their units, except for Nagate's Tsugumori. Shizuka's unit goes out of control forcing her to bail out and instead of following his orders to tow the other two guardians back, Nagate grabs the Kabizashi and fights the gauna head on, destroying it with certain ease. 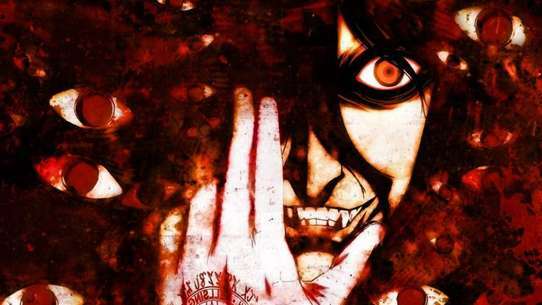 As the others celebrate his feat, Nagate disobeys orders once more and leaves in search for Shizuka, despite being warned that he is distancing himself from Sidonia to a point of no return. 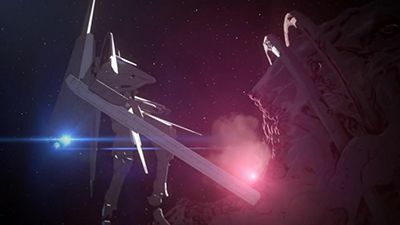 The massive Gauna structure still remains on a collision course with Sidonia. It is discovered that the Gauna placenta has manifested around a dwarf planet and is planning to ram and destroy Sidonia. Yuhata tries to maneuver Sidonia out of the way, but all efforts to avoid a collision ends in failure as the Gauna also corrects its course accordingly (With the use of its tail) to remain on a collision path. The Captain orders that all guardian frames be outfitted with the new experimental placenta piercing weaponry. 48 frames are deployed with this weaponry and a anti-planetary missile is also launched at the Gauna. Yuhata reveals the plan to the pilots stating that the 48 guardians will separate into 2 platoons. Platoon 2's objective is to destroy the tail of the Gauna (The propulsion site) and Platoon 1's objective is to destroy as much placenta as possible, so the anti-planetary missile can reach the planet at the heart of the Gauna. Nagate and Izana are both positioned in platoon 1 and when they arrive ahead of the Gauna they have exactly 2 hours before the anti-planetary missile reaches the Gauna. The plan initially goes smoothly with both platoons making short work of the Gauna's placenta. Suddenly the placenta beneath platoon 1 morphs into hyggs cannons, and begins destroying many Guardians. Platoon 2 nearly destroys the propulsion system, but Benisuzume quickly appears and destroys all 24 Guardians in platoon 2. With the entirety of platoon 2 gone and almost half the Guardians in platoon 1 destroyed, defeat seems inevitable. 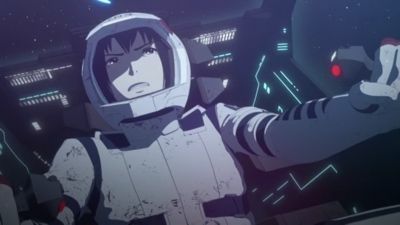 Yuhata quickly develops a new plan, to activate Sidonia's super hyggs particle cannon and fire it at the head of the Gauna. This would then allow the remaining pilots of platoon 1 to enter the Gauna structure and destroy the 'Master Gauna' which supposedly controls the massive hive Gauna. With no other option the Captain agrees and fires the hyggs cannon. The episode ends as the hyggs laser approaches and hits the Gauna head. Placental copy Shizuka entered Nagates cockpit and restrains him, Izana hacks into the Tsugumori's systems to allow Nagate to deal a killing blow on the Benisuzume, leaving the Shizuka copy dormant in his cockpit. Once Nagate releases Tsumugi, all the Gauna located on the planet converge arround them. 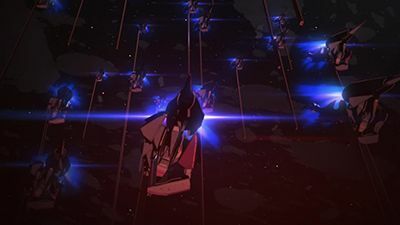 A rescue party from Sidonia with Hayakaze-equipped pilots wipe out all the enemy forces. 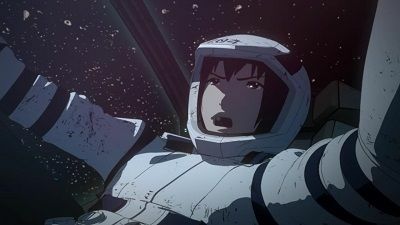 With his cockpit damaged, Nagate is force to return to Sidonia where Shizuka copy is put into containment. As Nagate is condecorated for his bravery, Lala approaches Kobayashi and urges her to stop using him for her plans. Meanwhile, Kunato, glimpsing an incomplete chimera, claims that his main goal is at hand. Nagate leaves behind his honorary medal at the place he was raised by his grandfather. And then he and his friends are once again called to sortie. Nagate and the other pilots confront the three Guardian-like Gauna and during the fight, Nagate retrieves a human-like Gauna sample from one of the enemy vessels, that communicates with them through radio with Shizuka's voice leading Kunato to panic. Two of the Gauna are defeated, but the remaining one, later nicknamed "Benisuzume", retreats. 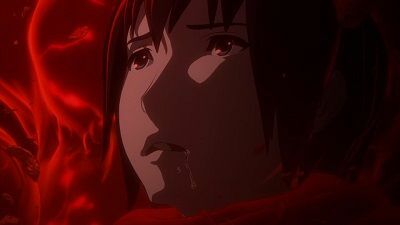 After the battle, the pilots mourn five of their companions who were KIA, while Captain Kobayashi is confronted by Lala over her orders to have Nagate sortie on every mission, knowing that it may eventually lead to his death. 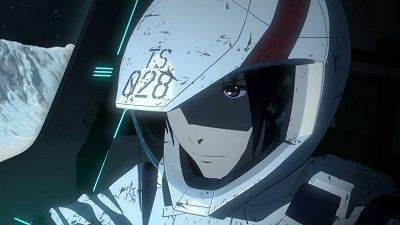 Kobayashi then reveals that Nagate is immortal, and by not being a member of the Immortal Ship Crew that rules over Sidonia, he was seen by the other Immortals as a liability, but she claims that by having the skills of their late friend Saito, he will not die so easily. 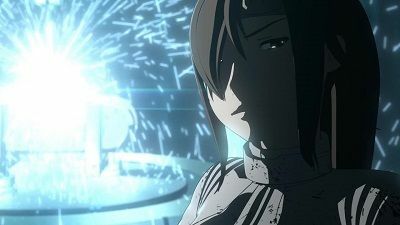 As Lala returns to the dorms, she reminisces about the events of the "Fourth Defensive War" 100 years ago when all citizens of Sidonia perished during a Gauna invasion, except for a few hundred survivors, including herself, Kobayashi and Saito, along Ochiai, who was responsabilized for such tragedy, but not killed because several important files were deleted from Sidonia's archives and relocated to an auxiliary database only acessible through his brain. After the incident, Saito disappeared without a trace, only reappearing 80 years later, aged because he had renounced his immortality. To preserve Saito's memory, Kobayashi ordered the creation of a clone of his, which was in fact Nagate, but Saito refused to have his mind transfered to the child, and kidnaps the infant Nagate with Lala's help, claiming that he will teach him his pilot skills nonetheless. Back to the present, the Gauna sample retrieved by Nagate is revealed to have the same appearance as Shizuka, and while in contaiment, it utters some words including Nagate's name. After discovering Shizuka was one of the casualties during the battle, Nagate recounts the events and what ensued during the fight: Multiple squads of frames are deployed to destroy the Guana with Kunato's squad tasked to destroy the tail of the massive Gauna using explosives. Kunato, Shizuka, En and Nagate plant their explosives around the tail of the Guana and prepare to detonate on Kunato's orders. Kunato however, activates a secure channel with Nagate and deliberately orders him to detonate the explosives too soon. This causes the Guana to become aware of their plans and the other explosives are shaken loose due to the imbalanced explosion. All frames are then ordered to temporarily fall back and re group but Nagate loses confidence and is struck by the tail. As Nagate begins to fall unconscious, the Guana almost kills him but Shizuka saves him at the expense of her own life. In the present, Nagate has recovered from his injuries but is greatly hated by the population as they believe he was the cause for many deaths during the battle (Due to the tail not being severed). Nagate takes some time away with Izana and he slowly regains his confidence in piloting Tsugumori. Meanwhile the captain orders the destruction of a Gas giant as it is believed there are Gauna present on the planet. 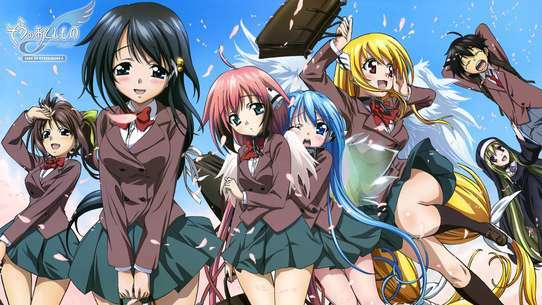 With Yuhata assisting the captain the planet is destroyed successfully but 3 unidentified Guana appear from the planet. The Captain orders Yuhata to assemble some pilots (Including Nagate) to intercept and destroy the Guana. When more detailed images of the Guana are shown, it is revealed, to the shock of everyone, they are Gauna like replicas of the a guardian frame with tag number 702 which was the same frame Shizuka used in battle. Nagate, Izana and Yuhata take a trip together to an inn and Nagate gets astonished to recognize Captain Kobayashi as the place's innkeeper. 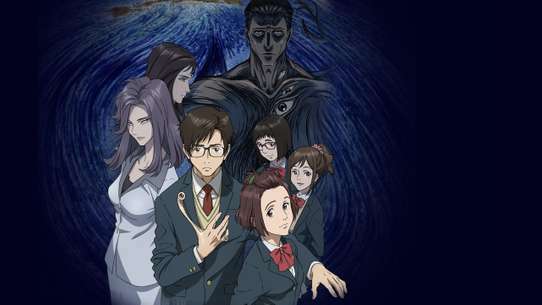 Once settled, Yuhata reveals that she obtained some info about Ochiai's secret lab and takes the others to investigate. The trio end up trapped inside the installations and take an elevator to a highly classified area where they are ambushed and sedated. Nagate awakens separated from the others and meets Yure, who reveals that the legends of Ochiai creating a Gauna/Human hybrid being are indeed true and is shown the corpse of the creature he developed using such method, from which they are manufacturing projectiles with a composition similar to the kabizashi and asks him to test the new weapon being developed from it. Meanwhile, Kunato also obtains info about Ochiai's experiments and come across a mysterious door, whose access are forbidden even to the members of his family. Nagate is sent back to the inn with Izana and Yuhata, who awaken with no memories of what happened and he feigns ignorance as well. Some time later, a colonization ship composed of pacifists who claim that if unarmed they will not be attacked by the Gauna, depart to settle on a nearby planet and Nagate is brought to Toha Heavy Industries, where both the new weapon and a new Guardian propulsion system is being developed, and reveals that the simulator they are using to make tests on both prototypes is the same one he used to train with his grandfather. 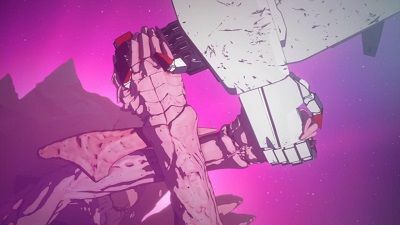 When an alert of the Gauna approaching the colonization ship reaches Sidonia, Nagate offers himself to use the prototypes to reach the ship and defend it in time and Kobayashi accepts his request. Even having a hard time getting used to the new equipment, Nagate succeeds to reach the ship and destroy the Gauna before it attacks the colonists. After the mission, Nagate is called to EBD and cheers up when the Shizuka/Gauna hybrid uses a pen to write his name, before he is summoned by the Captain. On the way to briefing, Nagate meets Izana, who informs him that was just instated as a pilot and is in distress upon knowing the low survival rates of pilots, specially the new ones. Nagate attempts to reason with Izana, who runs from him and falls from a pipe just to be rescued by him, and Nagate encourages Izana. Meanwhile at the command center, a massive Gauna structure en route of collision with Sidonia is detected. The veteran pilots and Yuhata Midorikawa, another cadet, inquire Nagate about his fight with the Gauna but decide to let it for another day after realizing that he is still in recuperation. Later at night, Nagate learns the a festival known as the Gravity Festival is being held and leaves to check it out, while a fighting competition between guardian pilots is being held and despite fighting his best, Kunato is defeated by Akai, who remains the reigning champion, and Yuhata, who had hacked into the records of Nagate's battle against the Gauna, concludes that Akai made use of that to improve his skills. Meanwhile at the festival, Nagate meets Shizuka and they hang out together and Izana, who was looking for him, gets flustered upon seeing them together, injuring herself when an angered Kunato bumps into her, Nagate confronts Kunato for not helping Izana and he is injured once more while fighting him. Meanwhile, Captain Kobayashi learns that the Gauna had reappeared and is approaching Sidonia, assigning Akai's squad to deal with it. 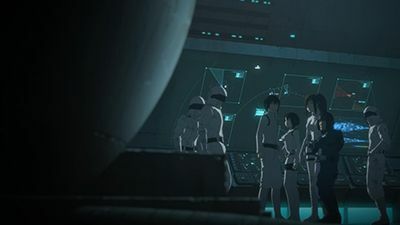 While recovering, Nagate and Izana are invited by Akai and his friends for a ride inside Sidonia's sea area before they sortie to fight the Gauna and in the next day, the cadets watch Akai and the others departing to confront the enemy, but the operation ends in failure as all pilots are killed by it. Nagate finds Shizuka but Tsugumori runs out of energy and the pair becomes adrift in space. Meanwhile, Kobayashi is urged by Nagate's dorm manager Lila Hiyama to organize a search party for him, but she refuses as well. 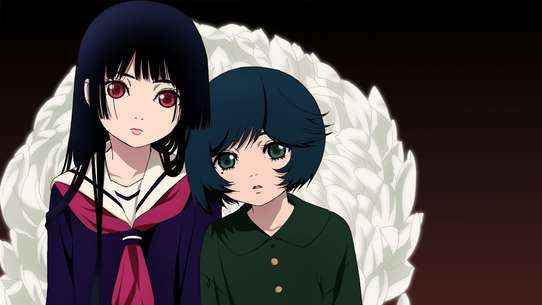 Nagate and Shizuka then spends their days inside the derelict Tsugumori waiting for the ship to re-energize but their supplies run out faster than planned and they are put in a dire situation until a large number of guardian pilots, disobeying the captain's orders, appear to rescue them. 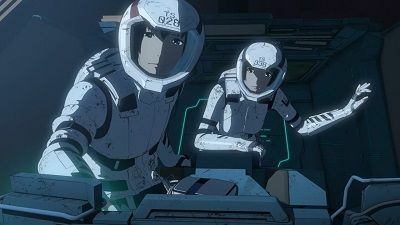 Nagate and Shizuka return to Sidonia where they are heralded as heroes and for their services in the last battle, Nagate, Shizuka, Kunato and En Honoka are promoted to official Guardian pilots. In the occasion, Kunato apologizes to Nagate for his prevoius behavior towards him and Nagate meets Captain Kobayashi, with questions for her about why his grandfather raised him in the underground and why his wounds heal an accelerated rate, but the Captain only asks for him to continue with his good work. After the party, Nagate is approached by Yuhata who asks him to accompany her in a underwater ride and Shizuka and Izana accompany them. However, Yuhata attempts to get alone with Nagate in a batysphere and when the others interfere, Nagate ends up riding alone with Shizuka instead. 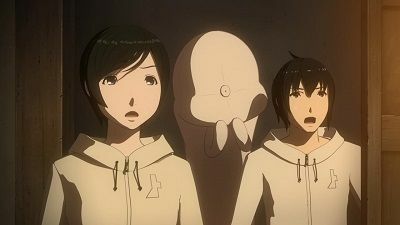 The two spend some quality time until they are called for another sortie, as a large Gauna is seen approaching Sidonia. Nagate departs to confront the Gauna with Shizuka and wakes up some time later in the hospital, where he learns, much to his horror, that Shizuka was killed in the battle. The episode begins in the past, shortly after the fourth defensive war. Doctor Yure manages to integrate photosynthesizing with the remaining humans and restores Sidonia's population. In the present Nagate and Izana go to observe the Gauna placenta that has taken the form of Shizuka. They both meet Numi Tahiro, a scientist at EBD, who wants to use Nagate in a series of tests to see how the Shizuka/Gauna hybrid would react in his presence. Nagate tries to communicate with the Gauna by mentioning Shizuka's name but it reacts violently seemingly trying to attack Nagate. Meanwhile, Kunato has relieved himself from piloting as the events during the previous battle had caused psychological distress. He then witnesses Captain Kobayashi, Dr Yure and Ochiai's clone enter an unknown area. 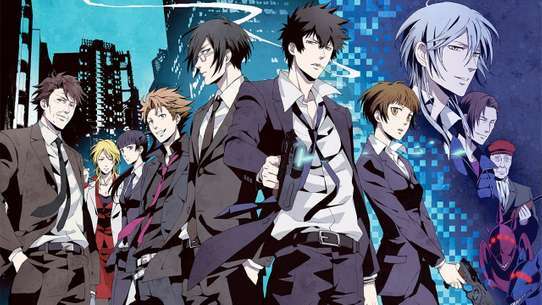 The Captain removes unknown details from a site known as the auxiliary brain using the Ochiai clone, as only Ochiai's mind can enter the database, the clone is then put to sleep by the Captain's orders but she is unaware that Kunato was watching the events through security cameras. As time passes both Izana and Yuhata display affection towards Nagate, but Nagate spends more time with the Shizuka/Gauna hybrid as it becomes less and less hostile as Nagate consistently communicates with it. 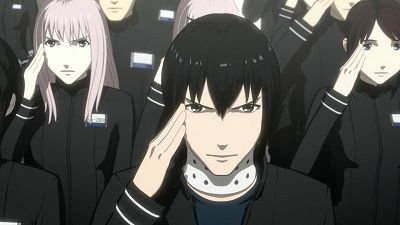 Nagate is also promoted to squad leader and leads his squad on several successful battles with the Gauna, after many battles Nagate agrees to go on a vacation with Izana to take a break. Numi Tahiro analyses what the Shizuka/Gauna hybrid is staring at, as whenever Nagate is not present the hybrid would constantly stare at one point in a wall within its confined space. 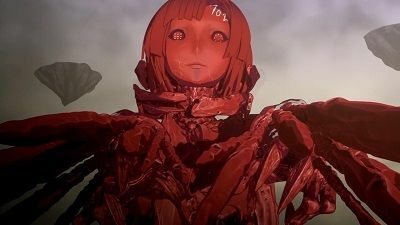 It is then revealed that the hybrid is actually staring at where the kabizashis are stored, far off in another part of Sidonia, seemingly scared. In the distance Benisuzume stares intently at Sidonia and at the kabizashis storage sight. 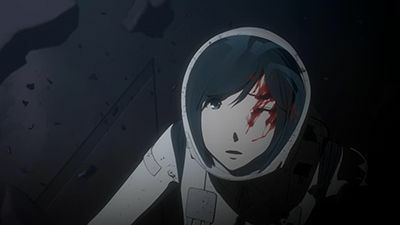 When Nagate's fellow pilot Eiko Yamano is killed and absorbed by the Gauna, he fights the creature head on, despite being warned to keep a distance, as a shot is being fired from Sidonia to drive it away. The shot hits the target and the Gauna is knocked into space, while the remaining cadets return safely home. 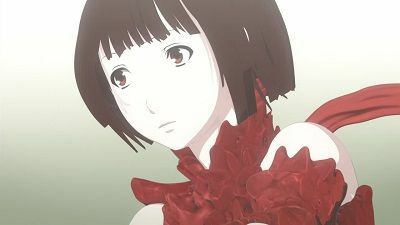 A funeral is held for Eiko and the high command officially announces that once again, Sidonia is at war against the Gauna. Three days later, Nagate is still disturbed with what happened and barely manages to sleep or eat properly. Meanwhile, the four highest ranking veteran pilots, led by Mochikuni Akai, pay a visit to the academy, and both Kunato and his friends believe they want to talk to him, but they turn to Nagate instead, much to his anger. At the massive spaceship Sidonia, having exhausted his last supplies of food, Nagate Tanikaze ventures outside home to look for food when he is spotted and captured by the local security while trying to steal some rice. Believing that his life is at risk, Nagate manages to escape the hospital where he is being treated just to be apprehended by some military cadets. 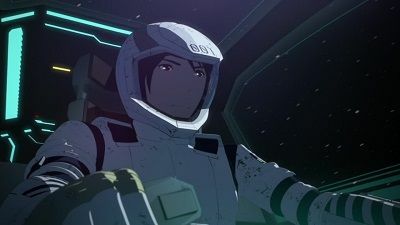 One of the cadets, Shizuka Hoshijiro, accompanies Nagate while he is being questioned by the police, when a man called Ochiai appears and takes him to Captain Kobayashi, the highest authority of Sidonia, who claims that she intends to take him under her guard, with the condition of becoming one of Sidonia's Guardian pilots, to which he accepts. He is then registered as an official cadet and introduced to the others. 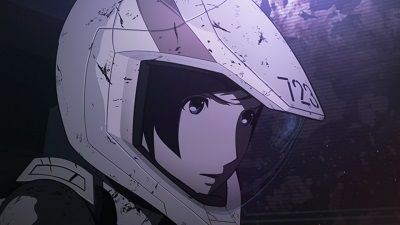 In the occasion, Nagate learns that the Guardian pilots' main mission is to defend Sidonia against an alien hostile species known as the "Gauna", although the last time they encountered them was a hundred years before, and befriends Izana Shinatose, an hermaphrodite whose body can be adapted to procreate with either males or females, depending of the chosen partner. After failing to impress his peers at the pilot simulator, as the controls are different from those he trained to perfection at his former home, Nagate is called to his first sortie along Shizuka and Izana, but instead of piloting one of the recent Type 18 models, Nagate is entrusted with Tsugumori, a legendary Type 17 unit that belonged to a famous war hero, much to the anger of Norio Kunato, a cadet who always wanted to become its pilot and is being dispatched with him as well. Realizing that Tsugumori's controls are similar to those he is used to, Nagate's confidence is renewed but while performing a mining operation at a nearby asteroid with the others, a Gauna appears from inside it and attacks them. A brutal attack of the Chimera, the new Human-Gauna Hybrid, destroys the remains of the Giant Gauna. Captain Kobayashi seems to be in league with Kunato (Ochiai) and other infested Sidonia crew members. 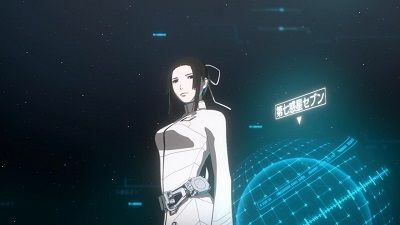 The Chimera, Tsumugi Shiraui, introduces herself to the Sidonia crew as a human mind controlling a Gauna vessel. 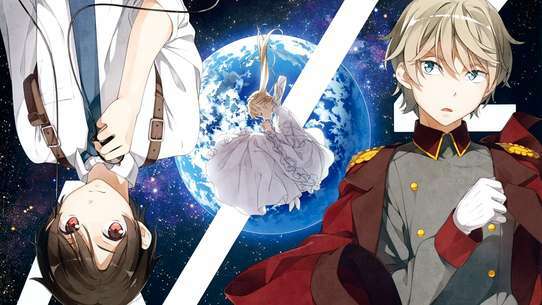 However Ochiai's experiments with Human-Gauna hybrids almost destroyed the Sidonia 100 years ago. Tsumugi Shiraui responds emotionally strong to Tanikaze's presence. 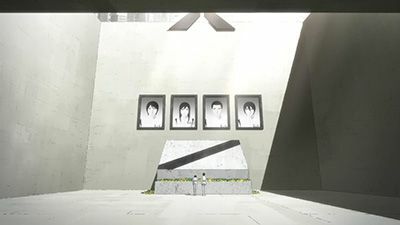 Because of Captain Kobayashi involvement with the Chimera project, the Sidonia supreme council decides to remove her from here position. However before they can make this happen Ochiai’s clone murders the entire supreme council. Kunato and Mozuki discover Ochiai's abandoned lab and fall into a trap resulting in their bodies hijacked by parasites. Now under Ochiai's control, Kunato and Mozuki visit Numi's lab and put her body under control of a parasite as well. When Nagate visits the Placental Shizuka, he learns that she was moved to a new location for research and that he can not see her again. He then turns to Kunato for answers, but to no avail. Meanwhile a massive Mauna approaches Sidonia and Nagate joins the sortie against it, piloting his new guardian, the "Tsugumori Kai". However the attack fails to break through the enemy's upgraded placenta. But then another Gauna-like creature appears, and with a single shot it causes massive damage to the giant Gauna. The new mysteriuos Gauna introduces itself as Tsumugi Shiraui. 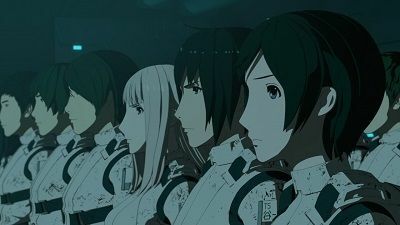 Izana's squad fight for their lives against the Gauna while on Sidonia Tsumugi and Nagate request for permission to rescue them. Nagate is entrusted with a new prototype Guardian the "Tsugumori Mark III". Meanwhile Izana and a pilot with callsign 064 enter the atmosphere of Lem IX using one of the Hayakaze's pieces as a heat shield while being pursued by the Gauna. Izana realizes that the Gauna are attracted to the artificial Kabi and Higs particles. After ejecting here power core the are no longer pursued, but powerless adrift in the Lem IX atmosphere. The rescue party consisting of Nagate and Tsumugi easily take out all encountered Lem IX enemy opposition until they encounter a Benisuzume-type Gauna. Tsumugi decides to confront the Benisuzume alone, so Nagate can keep searching for Izana. Nagate and Izana continue their visit while Yuhata and Tsumugi find a way to eavesdrop on them. Izana soon discovers that Nagate was set up by her grandmother. Meanwhile Sidonia arrives at the Lem Star System. A reconnaissance party of four pilots is send out, acompanied with a new propulsion and weapon system " the Hayakaze", to scout planet Lem IX. Izana is assigned last minute as a replacement pilot. In Lem IX orbit Izana detects an unknown object which is revealed of being a new type of armored Gauna. Both Nagate and Tsumugi watch the mission feed helplessly as Izana and her team struggle against it. Nagate chooses a new living space at the outer wall with easy tunnel acces for Tsumugi. He also asks Izana to move in with him. The new upgraded Gardes propulsion system needs testing, however it can still not match the hybrid's acceleration and speed. The captain is testing an experimental beam weapon, which has been designed and build using hybrid Gauna technology. The Graviton beam cannon is fired succesfully at a small dwarf planet, however the used Gauna placenta seems to have a mind of its own. Captain Kobayashi announces that Sidonia will set course for the Lem Star System, pursuing the Gauna's mothership who threatens the colonists at planet Lem VII. Just when Guimera Tsumugi is about to sort for a joint exercise, she detects a large Gauna formation approaching Sidonia. At the advise of Kunato and direct orders from the captain she departs to attack it alone. However, the Gauna create a massive structure to trap her. A platoon of Guardian Pilots sortie to rescue the Guider from the Gauna. Rescued and back on the Sidonia Izana has her right arm and left leg replaced with prostetic limbs. The also badly wounded Tsumugi is put in a special regeneration chamber. Meanwhile, Sidonia starts to decelerate to enter the Lem Star System and rendezvous with surviving colonists. 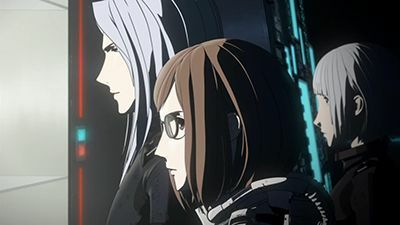 Nagate and Izana find a way for the recovered Tsumugi to get closer to the residents onboard the Sidonia. Negate has lost his rookie living space since a new trainee has been assigned to his old room, he turns to Izana for help. The Gauna Higgs particle beam cannon self- destructs causing a rupture in Sidonias armored hull. Although the risk with this hybrid technology is high, the captain wants to proceed with the research program and harness the power of this weapon at any cost. A new system which enables linking multiple Gardes, indicates a direct head on attack is approaching. Tanikaze is unaware of several love interests that are attracted to him, he especially is not aware of Izana. The colonist at planet 7 come in deadly first contact with the Massive Gauna cluster. While the Gardes are on repair duty, Tsumugi shows of her maneuvering skills and of course not all goes well. Yuhata decides to move in with Nagate and Izana, which is a surprise too all the friends. Izana is asked to test a direct link between her bionic implants and the Gardes control system. The test is successful and should give her more "Tsumugi like" control. And the romance between Nagate and Izana starts to bloom.